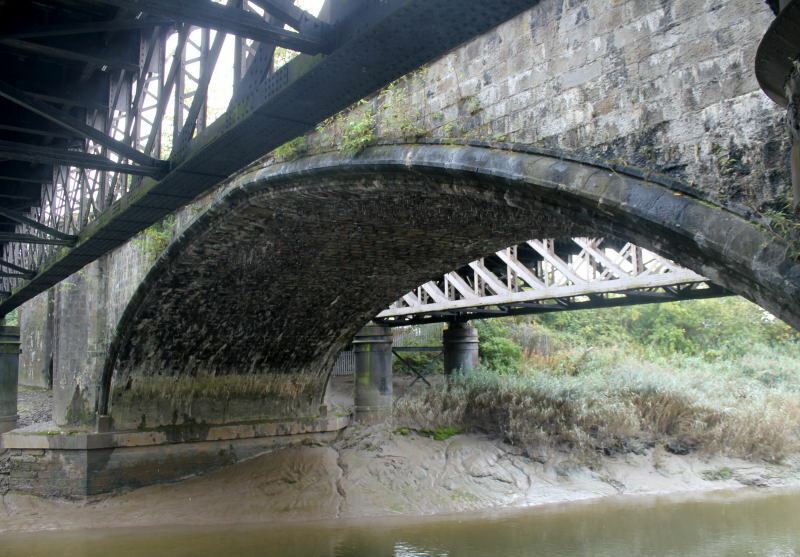 Brunel's Avon Bridge is nearly hidden by girder bridges. 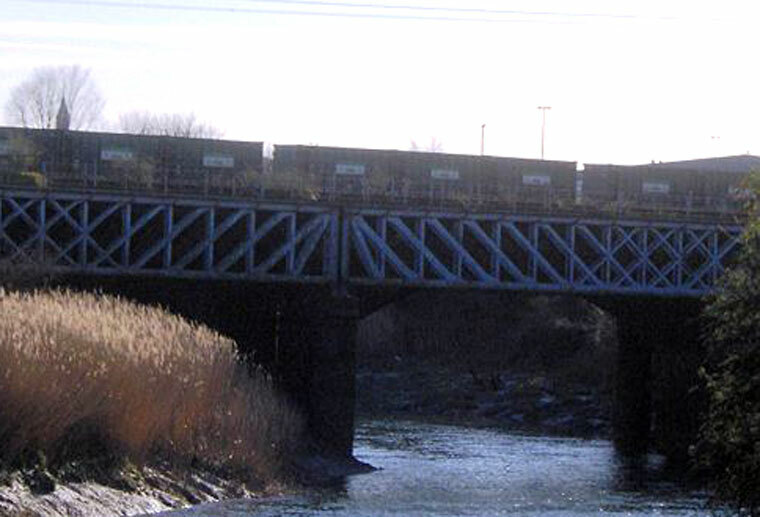 Avon Bridge is a masonry railway bridge over the River Avon in Brislington, Bristol. It has been designated by English Heritage as a grade I listed building. The bridge carries the Great Western Main Line into Bristol Temple Meads Railway Station over the tidal River Avon, approximately 1000 ft west (downstream) of Netham Weir. 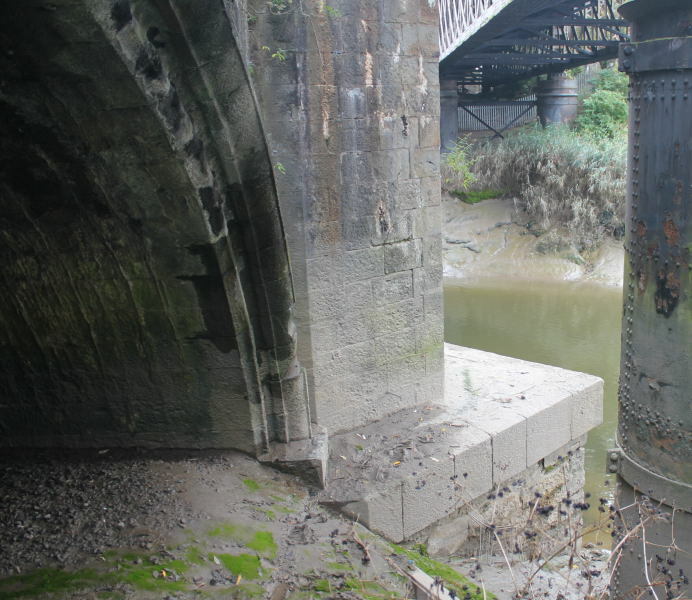 It is a under-appreciated Cinderella of a bridge, a fine masonry structure hidden by two ugly sisters - being flanked by two later lattice girder bridges, located in an unappealing area. There are two flanking arches of Gothic form, while the main span has a very discrete Gothic apex. 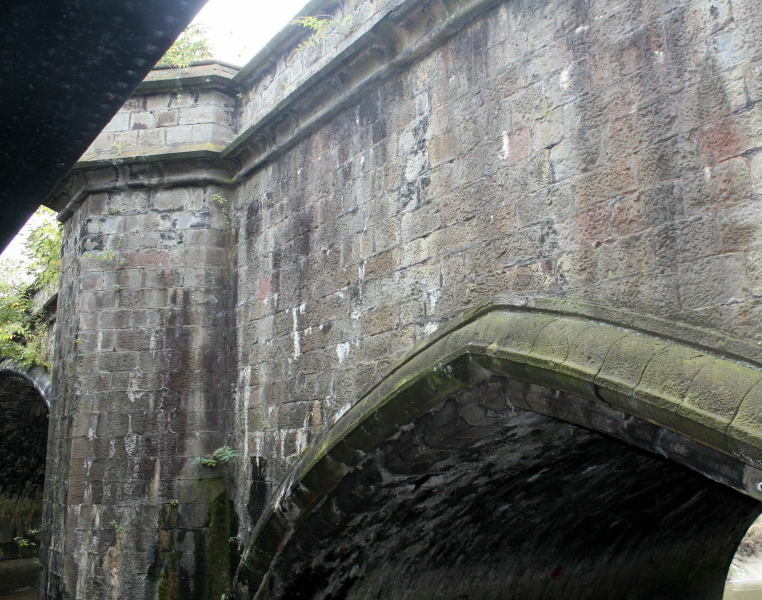 Opened in 1840, the masonry bridge still carries heavy traffic. The eastern iron bridge is long disused. This page was last edited on 17 May 2017, at 18:12.